In 2012 Dave and Earl were encouraged to perform together by Blues Matters Lifetime Achievement Award recipient and promoter Monica Madgwick. They have since given barnstorming performances together at blues and rock ‘n’ roll festivals, art centres and music clubs nationwide. 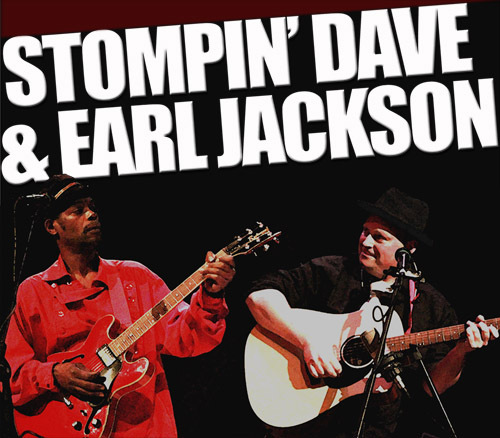 Dave and Earl perform together as a duo, a trio, in Earl's blues and rock n roll bands, or with five times winner of Blues In Britain drummer of the year Sam Kelly in Dave's band Stompin' Dave's Blues3. Described as “One of the world’s greatest performers” by Maverick Magazine, Dorset's based Dave is perhaps best known for his madcap flatfoot dancing and award winning banjo picking. With which Dave has garnered appearances at major festivals such as Glastonbury, Camp Bestival, Bestival, Boomtown Fair, The Secret Garden Party, etc. Alongside Dave’s adventures in bluegrass music Dave has found time to release many well received blues albums and has made regular performances at blues festivals and clubs. Dave is a former member of former UK blues band of the year The Producers. Dave was nominated for a British Blues Award in the acoustic act category 2014. Based in Nottingham Earl Jackson vocalist, guitarist and bassist is a well known figure on the British blues and rock n' roll circuits and has been in great demand for many years. He has made appearances on BBC radio and TV including the prestigious Jonathon Ross show, a widely acclaimed success. Born of Jamaican parents in Lambeth in 1964, Earl was heavily influenced by Gospel music. Much of his charisma and on-stage confidence comes from performing before ten thousand people or more at various gospel events. "Entertainment with a capital 'e'“ The Mad Rat Magazine. 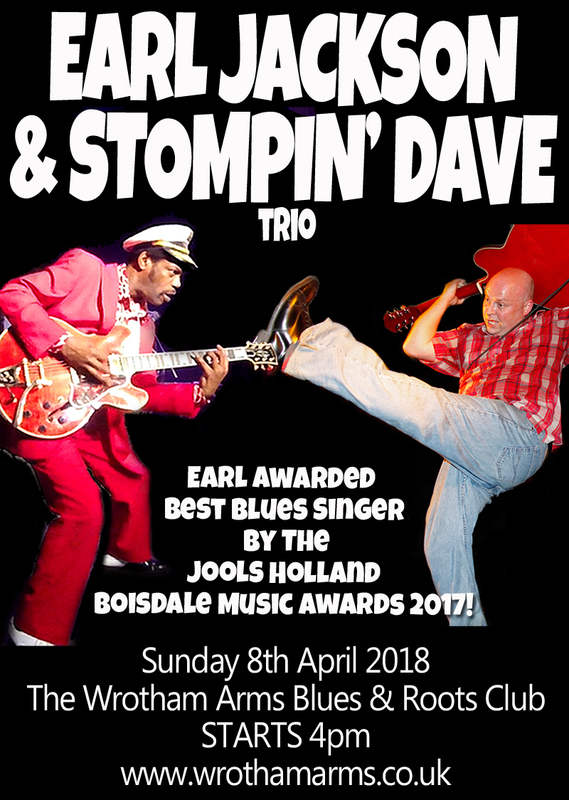 Earl was awarded Best Blues Singer 2017 by The Jools Holland Boisdale Music Awards.